Ranging from complex harmonic and rhythmic explorations to simple folk inspired pieces, these 9 original tracks highlight the unity of the ensemble and the breadth of their musical interests. 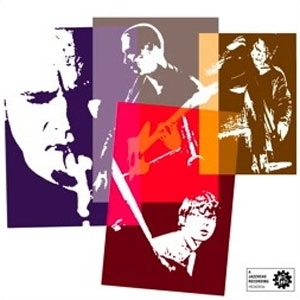 'Lost City' was recorded in March 2009 and features much of the band's current repertoire that has been developed playing in Melbourne jazz clubs over the last two years. Founded in 1997 to provide a platform for improvised music compositions, Theak-tet create a synergy which allows a freedom and communication rarely possible with thrown together groups. "Listen to the sinuous cohesion of the rhythm section on Dust Mite, the slippery guitar of James Muller on Paul Bley and the disquieting mood of Gamla Stan, with David Theak's saxophone in a flux between pastel-hued lines and sudden flurries of sharper colour." 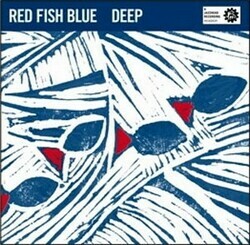 Red Fish Blue became a permanent group after what was expected to be a one night only gig at the Side On Cafe in Sydney in 2000. In the Santeria religion, Elegua is the guardian of entrances, roads and paths. He is the first Orisha (Guardian Spirit) to be invoked in a ceremony and the last one to be bid farewell. He has to be first in anything, just like a spoiled child. Jewish music tells an incredible story of a journey; both into the soul of man and throughout the physical world. In 1995 Sherlock formed the James Sherlock Trio, a musical structure he believed best expressed the guitar and what his music has to say. The trio completed work on the disc at Melbourne’s Woodstock Studio with Joe Camilleri in April 98. Dodge's jazz/groove ethos sees our intrepid explorers acoustically travel the more funky, soul side of jazz. Offline, the band's CD debut, holds the door open for serious improvisation. The members of DODGE originally came together as four friends to record a track for a Jazzhead compilation, ‘Javabubbaboogaloo’. With the success of the sessions (radio airplay) and the insistence of Joe Camilleri, DODGE finally agreed to come together again to record ‘OFFLINE’. Capturing a uniquely hypnotic blend of jazz, blues and Rnb and dripping with rich emotion, Sarah’s debut EP "This Way" is sure to tantalize the taste buds. The piano's flowing and repetitive riff depicts the rolling of the river Rhine. The voice floats over the top describing a scene and an emotion. Double Bass and Light Drums add depth to the soundscape. This album is a great example of the kind of casual magic that can happen when like-minded musicians get together. Recorded at Bennetts Lane or Dizzy's in Melbourne. Dale Barlow flies in from Sydney, renews acquaintances with Mark Fitzgibbon and Matt Clohesy, and meets Dave Beck for the first time. Later that night, for their own pleasure, but a pleasure they gladly share with an appreciative audience, they let the music flow. And magic happens. Vivid is the collaborative trio CD from Barney McAll, one of Australia's finest jazz pianists, tabla player and percussionist Badal Roy and cellist Rufus Cappadocia. Barney McAll's is a singular talent on the world stage. A few months after releasing his outstanding, highly personalised perspective on traditional Cuban music, Mother of Dreams and Secrets, he has expanded his horizons to embrace African and Indian music. Winner of the 1998 ARIA Award for 'Best Jazz Album of the Year'. Jeff Raglus and Bruce Haymes present a cool new project 'FOGG' which brings groovy and rhythmic jazz elements together with dreamy trance-pop. The Edge Of Today aims to identify a sample of the Australian jazz scene by mapping out the differing styles of jazz featuring five of Australia's leading guitarists. but also a sense of amazement at how we can all play the same instrument and have such diverse approaches." kuklos", cycloa circle and sporum, a fungus, an immuno-suppressant both sinister, regenerative, giving with one hand removing with the other. Jamie Oehlers, winner of the 2003 White Foundation World Saxophone Competition at the Montreux Jazz Festival, and Sam Keevers, recognised as one of Australia's finest pianists come together. "Oehlers has a full command of the horn, a very warm tone, and a fondness for the upper register that recalls Joe Lovano. Keevers’ piano style is somewhat more protean, at times bespeaking the influence of Paul Bley’s elliptical lyricism, elsewhere Chick Corea’s populism"
The Ben Winkelman Trio, featuring Ben Winkelman (piano), Rodrigo Aravena (bass) and Danny Fischer (drums) have come together for their debut Jazzhead release, Stomps Pieces and Variations. Misinterprotato are a Brisbane based piano trio that performs original contemporary improvised music. Formed in 1999 while the members were studying at the Griffith University QLD Conservatorium of Music. The music of Misinterprotato is composed completely by the trio focusing on space and clarity with surprising contrasts. With Influences ranging from Australian artists (The Necks, Band of Five Names), classic jazz artists (Wayne Shorter, Bill Evans) to contemporary European jazz and Radiohead, the trio have forged their distinct sound.